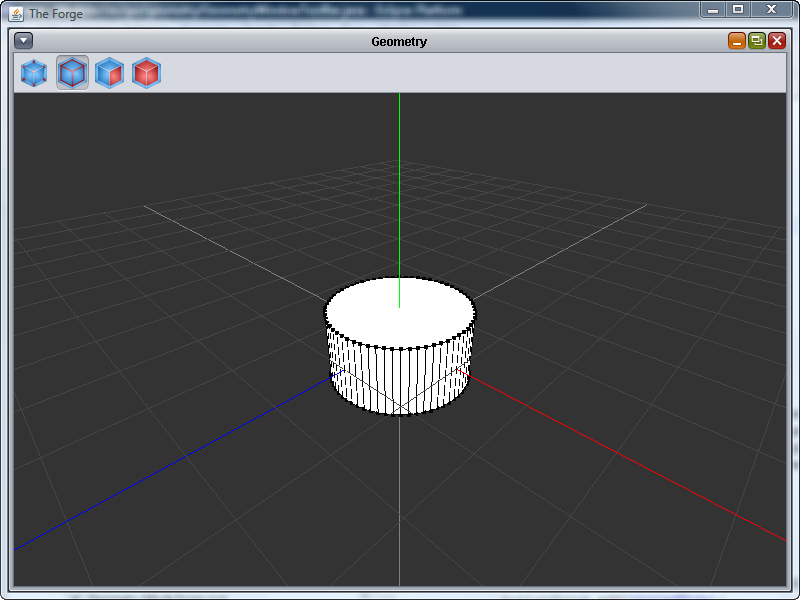 Welcome to the homepage for The Forge, a simple and powerful 3D modeler under development. This page will eventually be a wiki for users and developers. For now, though, there's not much here. We have released an alpha version of The Forge 1.0 on SourceForge! Check it out! This version has all of the major features that we set out to accomplish in Version 1.0, and requires some more fine tuning and bug fixing. If you discover any bugs, please report them to the bug tracker on SourceForge. New and improved versions are added every few days to a week. Check out this project's blog, http://theforgemodeler.blogspot.com, for more frequent updates.